Highly decorative painting is considered more and more as an applied Art, consumers can experience a wide range of quality. At SBS Specialist Finishes we believe in providing the highest level of professionalism to every project, from beginning to end. Peace of mind contracting with bespoke installations, bolstered by an expanse of innovative and custom-made decorative finishes. With a clear understanding of the client`s desired outcome, efficient project management, we display a strong work ethic, solid reputation for quality workmanship, a result from meticulous attention to client satisfaction. We also provide professional development workshops for clients/applicators wishing to apply and learn about our exclusive high end products and innovative effects. Our basic workshop three is aimed at non-professionals, but all are welcome. Took book on any of our training courses, fill in this form below and we will endeavour to get in touch within 24 hours. We offer bespoke hands-on workshops, creating incredible hand-painted custom finishes that will enhance your portfolio, with widespread appeal to designers and clients of varied budgets and tastes. 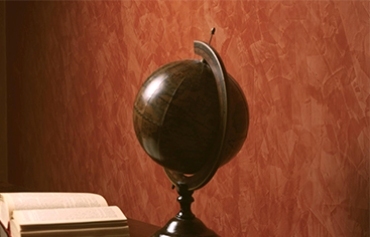 Our team of instructors have over 70 years experience in decorative finishing. 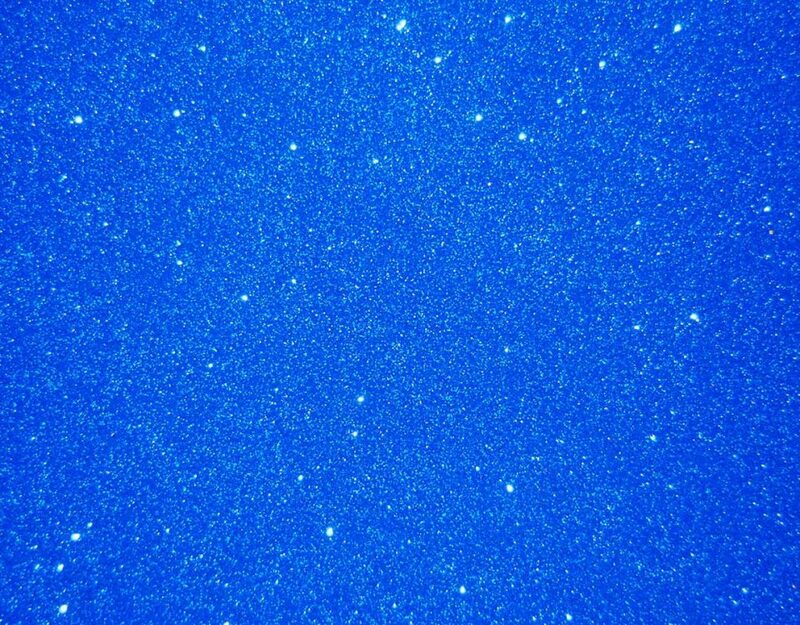 The goal of our workshops is to teach you truly awe inspiring and appealing decorative finishes, which please not only yourself but your existing customer base and prospective clients. One of a kind finishes can catapult your portfolio to be appreciated by every client and designer/architect you meet. 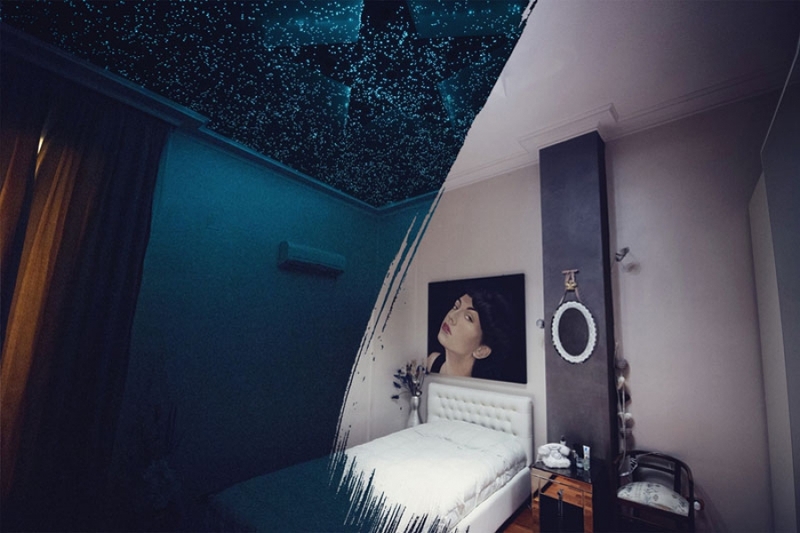 Explore innovative techniques, alternative surface finishes, artistic growth and many more designs that spur imagination. 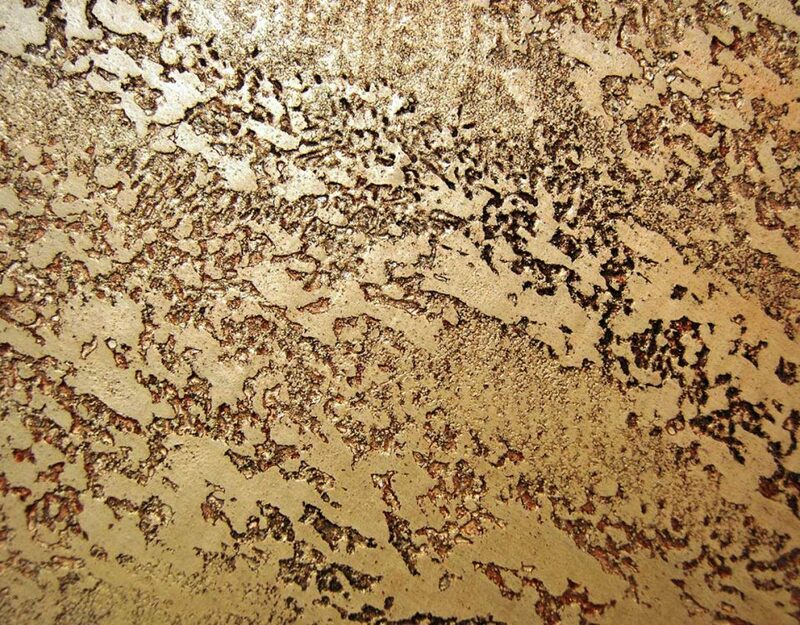 Mastery of Decorative Finishes will enable you to branch into revenue enhancing niche markets. 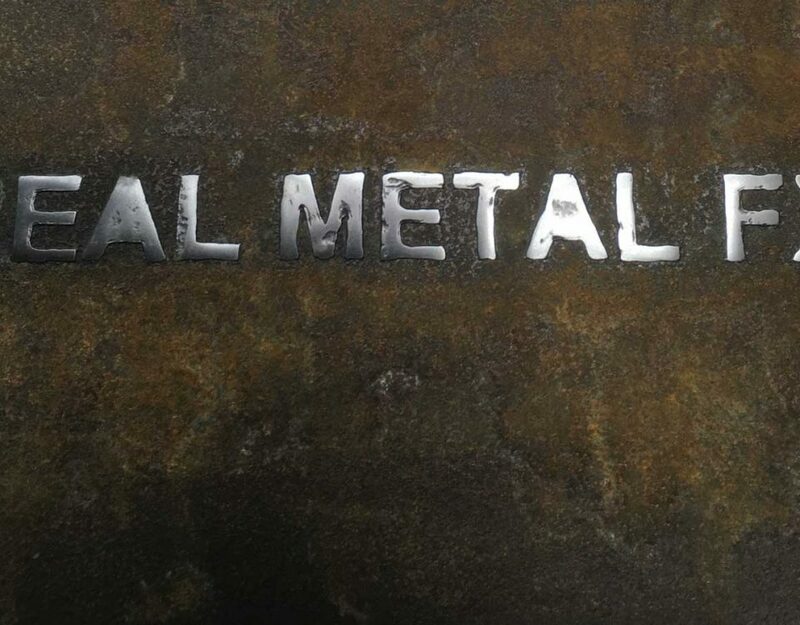 3 day Real Metal FX workshop is designed for seasoned professionals looking for fresh inspiration. The workshop lets you build on your experience and focuses on advanced decorative finishing using Real Metal coatings. A new luxury for your environment, real metal veneers with bespoke textures, choose from - Brass, Silver, Steel, Platinum, Bronze and Copper and create your own unique designs and finishes. Top class decoration, a truly refined speciality for almost any surface. Recreate the same tactile sensation and visual beauty of Real Metal. The workshop is dedicated to the application and polishing of Real Metal, including a synopsis of real rust finishes, experience the many secrets of oxidation/corrosion techniques with unique patina`s. Learn with correct preparations, how the systems can be applied to many surfaces, Walls, Counter Tops, Bars, etc. 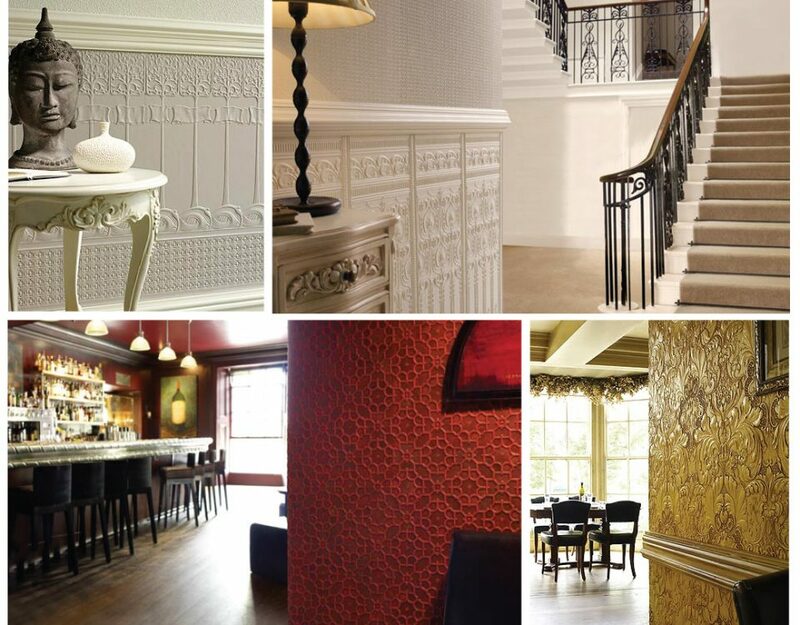 including the timeless elegance of Lincrusta wall coverings. 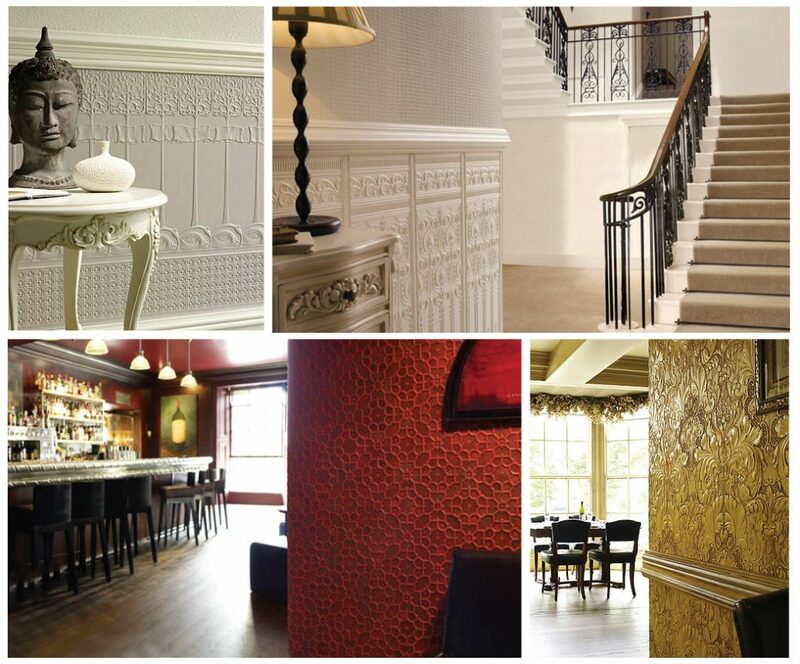 We thank Lincrusta for their support with our development and concept of Real Metal FX applied to Lincrusta. Extraordinary beauty and absolute refined speciality. If you would like to find out more about our Workshop One and check the latest availability, contact our office - 01274 871949 or use the contact form provided. Trowel finishes express their potential in public and private settings, thanks to the luxury they convey, its a synonym of wealth and individuality as they make surfaces unique with prestige and splendour. The goal of our custom workshop is not to force you into a particular style, but to have you understand the working qualities of traditional Italian finishes, so you can use these techniques and develop your own style. If you would like to find out more about our Workshop Two and check the latest availability, contact our office - 01274 871949 or use the contact form provided. Fun and friendly hands-on introduction to exclusive Italian finishes, designed for homeowners who wish to learn how to achieve professional results with their own projects. The workshop starts around 10am and can include weekends (limited) Students will complete and take home 5 finished samples. (boards are previously prepared). All products are water based easy to apply and perfect throughout the home for use on walls, ceilings, even furniture. The list is subject to regular change, from over 20 exclusive products and varied finishes. If you would like to find out more about our Workshop Three and check the latest availability, contact our office - 01274 871949 or use the contact form provided. The course itself is very well presented and intensive but I will say it's for the dedicated professional decorator who can appreciate the time and effort to make sure they and the customer get the very best quality finish possible and of course how important it is to understand the mixing quantities which are absolutely crucial along with the application by trowel and the polishing techniques needed and time to achieve that optimum finish. I think 3 days is ideal time to learn the skills needed to work with the real metal, even though I had only two days and it was a lot to take in, simply an amazing product that can be applied to anything and everything, to give the client that extra special bespoke service.